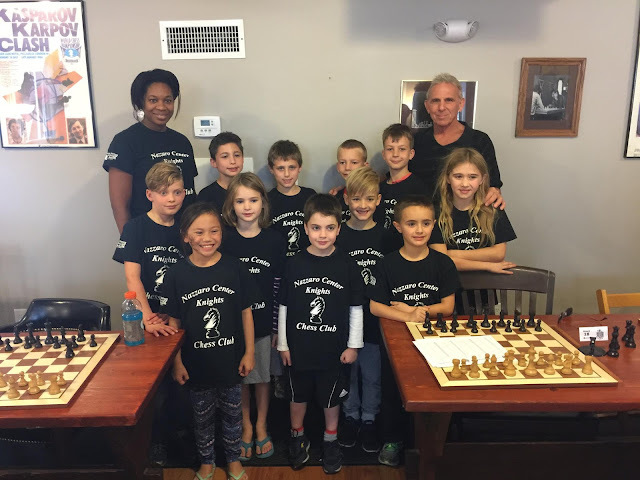 I would like to thank warmly the fine kids of Nazzaro Center Knight Chess Club, and their chess club organizer Jannelle, for bringing a huge, enthusiastic, and extraordinarily well-behaved group of new chess players to the BCF Scholastic Chess Club. 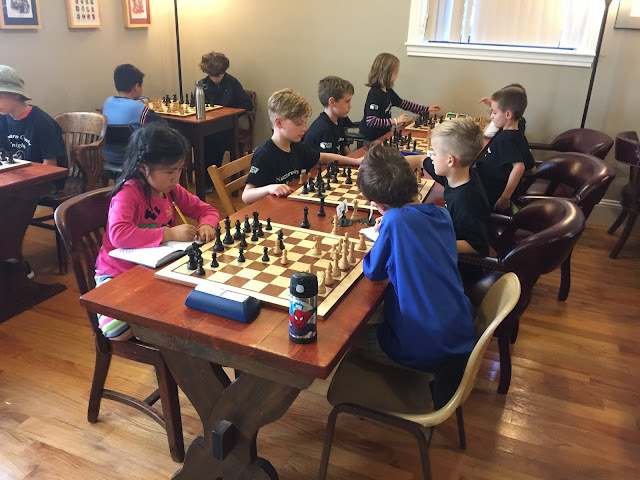 Because of their record turnout, we reached a new attendance high of 19 players. Special commendation to Leonard Sweeney-Barrett for a terrific performance of 4 Points. He is ready to play with the big boys. At our next Scholastic Tournament on 11/19/17, we will add a new Non-Member Section to allow players new to chess tournaments to play without immediately having to obtain USCF Memberships. We'll see you at our next Tournament.